The idea behind the design is to combine the site’s many years of history as a military base (US military presence until the early 1990s) with its new utilization as an attractive residential quarter embedded in the landscape. 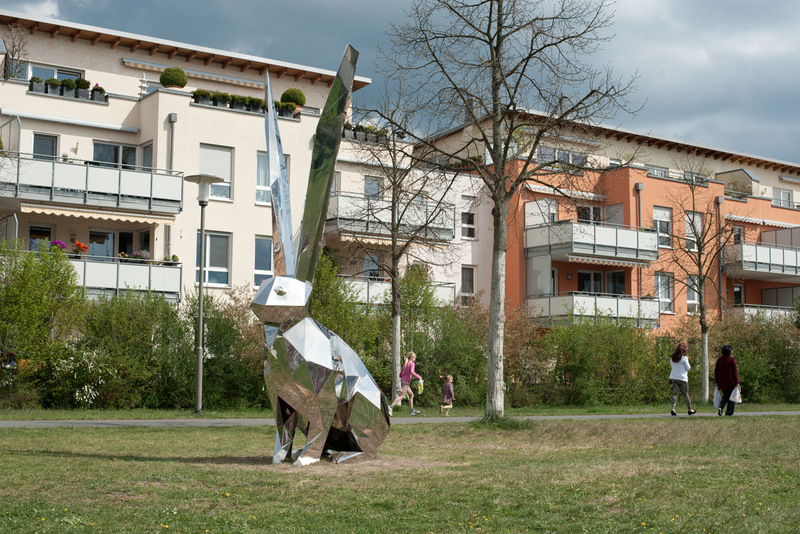 Placed on the greenway is a ca. 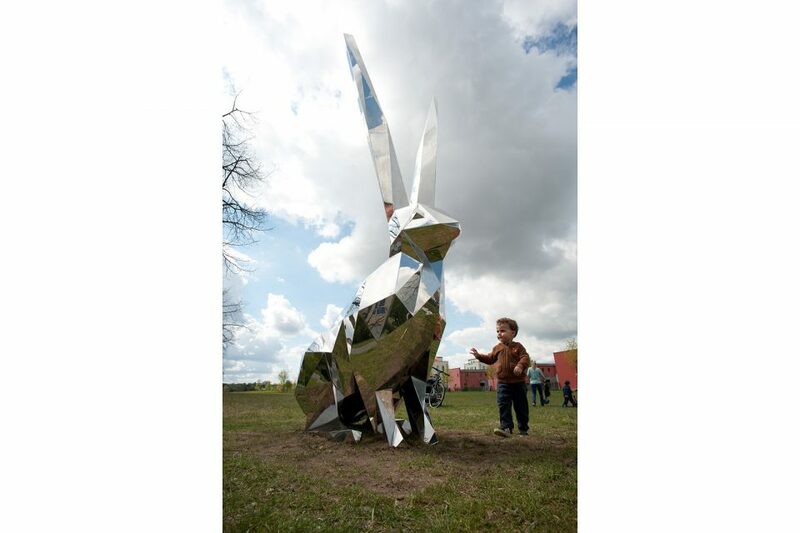 3.8-meter sculpture of a huge, geometricized hare formed of polished stainless steel. 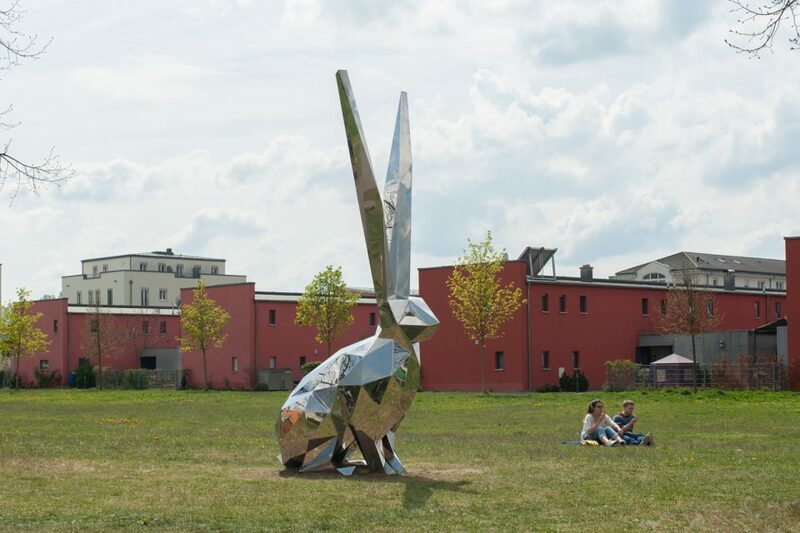 The variously angled surfaces reflect splinters of all the surroundings of the sculpture, whereby the hare fuses with its site in a kind of “crystalline” camouflage effect. The sculpture oscillates between gleaming attraction, advanced camouflage, and a rational abstraction of the digital era. 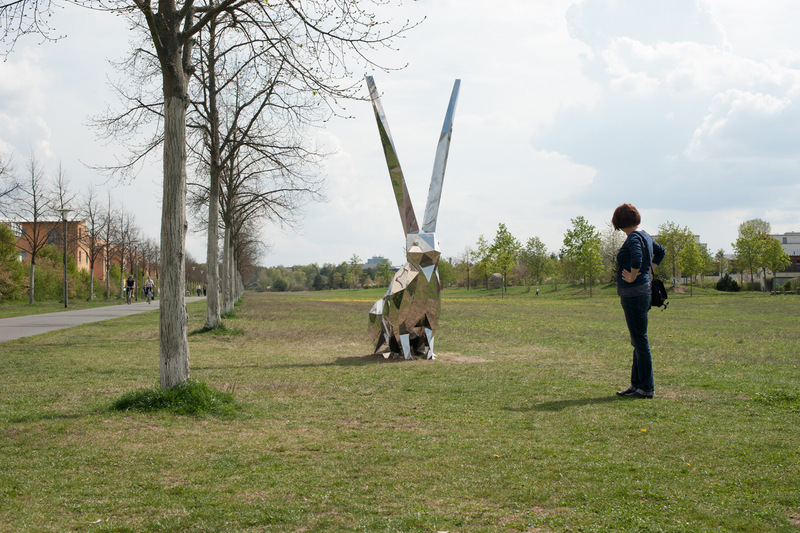 In a surprising and complex way, its hybrid appearance unites opposites like nature and technology, visual attraction and mimicry, historicity and the new purpose of the site.